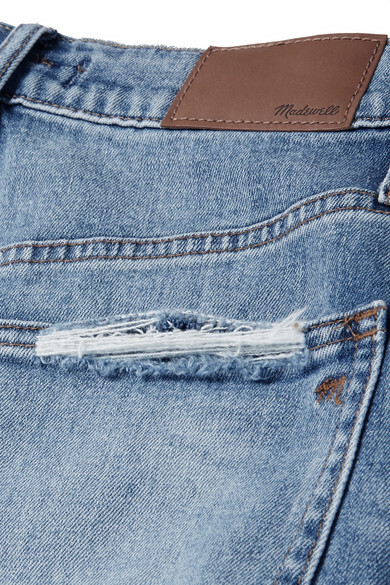 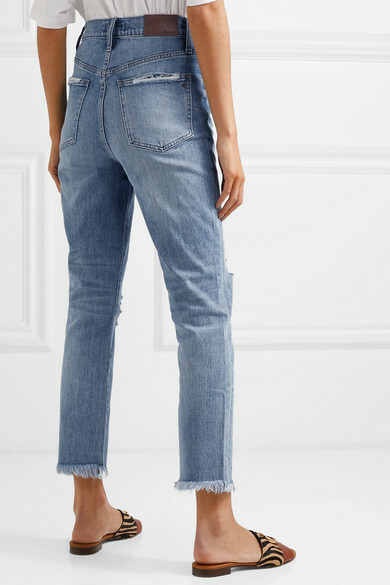 Madewell's 'The Perfect Vintage' jeans are made from soft, slightly faded denim to look like an old favorite. 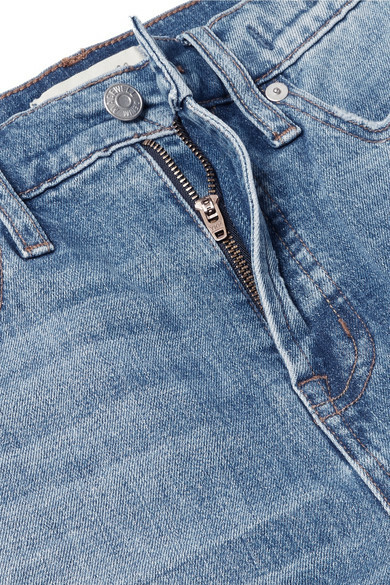 Made with just a hint of stretch, they have straight legs and flatteringly hug your frame. 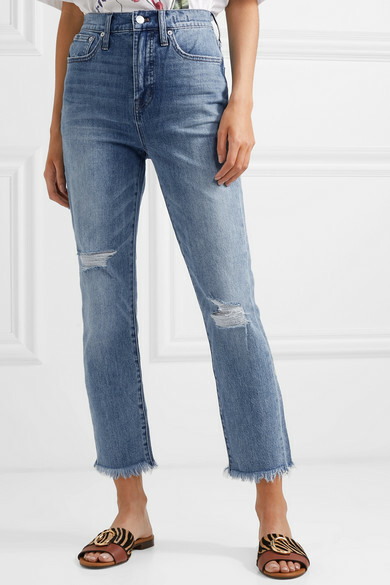 The frayed hems hit above the ankles, so they'll look good with sneakers and sandals alike. 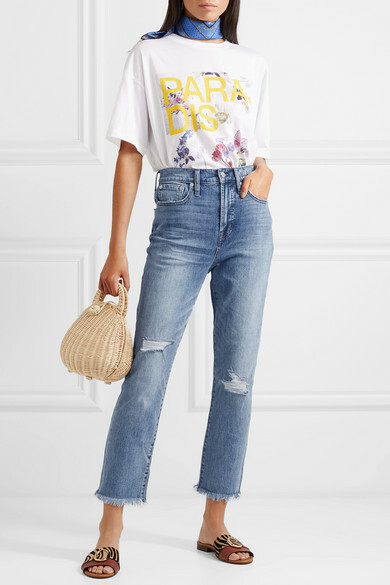 Shown here with: GANNI T-shirt, Chloé Slides, GANNI Scarf.